Extortion, also known as “blackmail,” doesn’t just happen in television drama. The Federal Bureau of Prisons reports 6.4 percent of all federal inmates are incarcerated for extortion, fraud or bribery. It is also a state-level offense, codified in Florida Statute 836.05, threats; extortion. 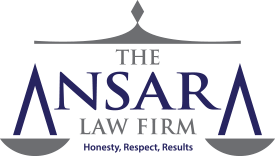 Our Fort Lauderdale extortion defense attorneys at The Ansara Law Firm know there are several elements to this crime that prosecutors are required to prove to secure a conviction. Most jurisdictions classify extortion as a “crime against property” or a type of theft offense. However, the element of a threat of harm to someone is a key element. That could mean threat of harm to one’s physical health, finances, property or employment. When extortion happens on a larger scale or is carried out by an organization, it can be prosecuted as racketeering under the Racketeer Influenced and Corrupt Organizations Act (RICO). If are you are arrested for felony extortion in Florida, you will need skilled legal representation, given not only the complexity of the crime but also the severe consequences if you are convicted. Our defense attorneys understand the necessary elements of extortion, and can work to help you develop an effective strategy to combat these charges. Impute a deformity or lack of chastity to someone else. Compel a person to do something or refrain from doing something against their will. The elements of malice and threat are essential to proving the crime. Threats can be either written or verbal, meaning it can be over the phone, in person or via a letter, email, blog, text message or social media post. It should also be noted that threats can be implied, and the prosecutor doesn’t need to show the defendant actually carried out the threat or even had the ability to do so. For example, if you threaten to expose an affair to someone’s wife unless you are paid $10,000, that threat could be deemed extortion – even if you have no way of actually contacting the person’s wife. That’s because there was a threat of harm/ psychological injury for monetary gain. With regard to the term “malice,” Florida courts generally use the standard of “legal malice” in these cases, which means the threat was wrongful, intentional and without legal justification or excuse. This differs from “actual malice,” which means with ill will, spite, hatred or evil intent. Pinning down the definition of the “malice” element in extortion cases is something with which Florida courts have wrestled. Florida’s 2nd and 4th District Courts of Appeal ruled that “legal malice” is the appropriate standard, while Florida’s 5th District Court of Appeals in 2013 ruled that a standard of “actual malice” was appropriate in that case. The court certified its conflict with the other courts on this interpretation of the extortion statute, writing that while justices believed legal malice to be the more appropriate definition, they felt compelled to follow the precedent set by the state high court in the 1980 case of Carricarte v. State. The Florida Supreme Court has yet to revisit this issue as of this writing. You should know that the judge in your case has a lot of discretion about your penalty, should you be convicted. It’s assigned a Level 6 severity ranking by the state’s criminal punishment code. There is no minimum mandatory penalty, so you could be sentenced to the maximum 15 years, or you could only receive probation. Even if you don’t have a strong enough defense to fight off conviction, the sentence you receive will probably depend largely on how your attorney can present mitigating circumstances that case you in a more favorable light. There is another form of extortion under Florida laws that involves “officers of the state.” Per F.S. 839.11, this offense involves the oppressive use of an official position to obtain a fee. In other words, the officer falsely claims the authority to take money or property to which they are not entitled while acting under color of office. An example would be a clerk of court collecting money from a citizen in excess of the authorized amount under the pretense of collecting the fine. In those cases, prosecutors do need to show the officer actually took the money or somehow benefited. That crime is a first-degree misdemeanor, punishable by up to one year in jail. Idle threat. This is one of the most common, particularly for those cases that involve social media. What we need to show with this defense is essentially a lack of intent. Defendant did not intend for the threat to actually reach the person about whom it was made. Litigation privilege. This is mostly going to come up in matters of civil litigation. Attorneys can make written demands of another party without worrying that they will be prosecuted for extortion – even if those same demands would constitute extortion if made by the client. If you are arrested for extortion in Florida, our Fort Lauderdale criminal defense attorneys can help you determine the best way to defend your rights and freedom. If you have been arrested for extortion in South Florida, contact the Fort Lauderdale Criminal Defense Lawyers at The Ansara Law Firm by calling (877) 277-3780.